Adrian Peterson just signed with the Redskins on Tuesday, but head coach Jay Gruden wants to get the veteran back on the field for Friday’s preseason game against the Broncos, as Michael David Smith of Pro Football Talk writes. While Gruden didn’t fully commit to Peterson seeing the field, he did say Washington will attempt to get Peterson “up to speed” before Friday. The Redskins are dealing with multiple injuries at the running back position, so Peterson will compete to handle early-down work that would have gone to second-round rookie Derrius Guice, who tore his ACL earlier in the preseason. The Eagles will likely release linebacker Corey Nelson prior to the regular season, not only because he’s been outplayed during camp and the preseason, but because doing so will net a Philadelphia a sixth-round compensatory pick, according to Jimmy Kempski of the Philly Voice. The NFL’s comp pick process is based on complicated cancellation charts that track how many free agents each team gained or lost. If Nelson is cut before the season (or anytime prior to Week 10), he’ll be removed from the comp pick formula, and therefore open up a sixth-round pick for the Eagles (in exchange for losing corner Patrick Robinson in free agency). Philadelphia would also pick up $1MM in cap space by releasing Nelson, although they’d take on $600K in dead money. With a room full of injured running backs, the Giants added free agent runner Jhurell Pressley earlier this week. But New York also worked out fellow back Jahad Thomas on Monday, tweets Aaron Wilson of the Houston Chronicle. Thomas, 22, went undrafted out of Temple in 2017, but landed a contract with the Cowboys and then spent the majority of the regular season on the Jets’ practice squad. Thomas, who was briefly on the Winnipeg Bombers’ (CFL) roster earlier this summer, averaged 4.6 yards per carry and scored 30 total touchdowns over his final two collegiate seasons. After winning the Super Bowl in 2017, the Eagles returned much of their loaded roster and added more depth. Eliot Shorr-Parks of NJ.com runs down the projected 53-man squad and potential roster cuts. Jeremy Langford‘s four-plus months as a New York Jet may be over after the team made the decision to waive the running back on Friday. Newsday’s Calvin Watkins tweets the Jets also cut quarterback Joel Stave, wide receiver Daniel Williams and running back Jahad Thomas. Langford landed with the Jets as a practice squad player in December, and the team kept him via reserve/futures contract in January. Matt Forte‘s former backup in Chicago, Langford visited the Giants and Dolphins in November before catching on with the Jets. But his career has not been the same since the Bears made him a then-surprising cut prior to last season. A former Chicago fourth-rounder in 2015, Langford has not played in a game since the 2016 season. 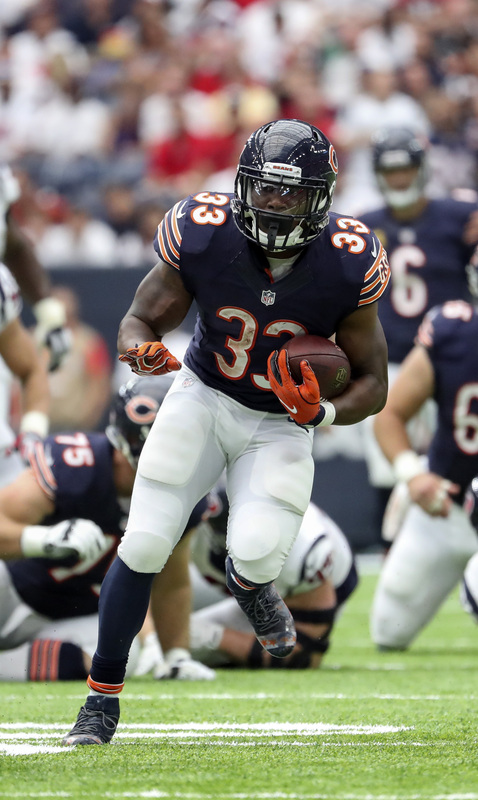 He saw steady work behind Forte in 2015, receiving 148 carries and turning six of those into touchdowns, but observed Jordan Howard usurp him a year later. He’ll now venture back to waivers. The Jets also signed Stave to a reserve/futures deal in January. Both he and Thomas signed with the team’s practice squad in December as well. 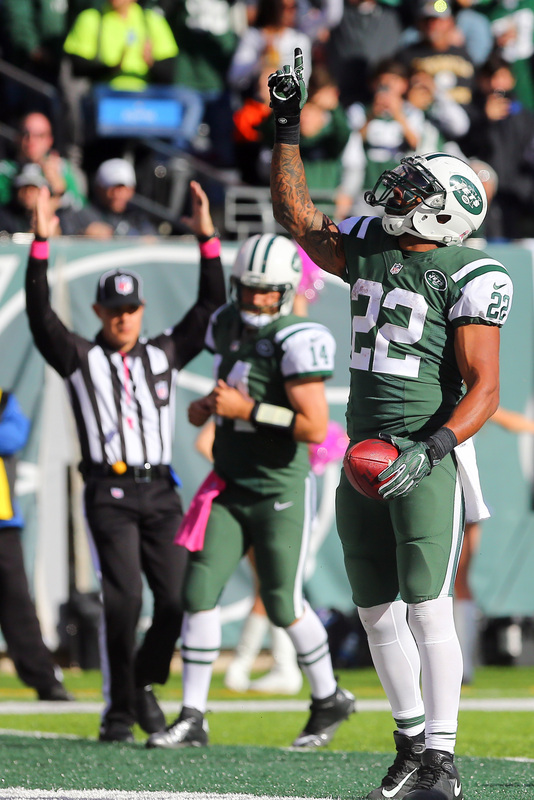 Matt Forte‘s second Jets season will end prior to Week 17. The team placed the 10th-year running back on IR, Brian Costello of the New York Post reports (on Twitter). The Jets promoted wide receiver/return man Lucky Whitehead and running back Jahad Thomas to the active roster, per Costello (on Twitter), and placed running back Akeem Judd on IR. Struggles with injuries derailed Forte’s 2017 campaign, and it’s uncertain if he will be back with New York next season. Forte has not had any discussions with the Jets about his 2018 status yet, he said (via Costello), but has indicated he wants to play next season. Costello notes Forte would probably like to return to the Jets, but team can save $3MM by cutting Forte prior to the final season of his three-year deal. Forte finished this season with 381 rushing yards — over 500 fewer than his previous career-low figure of 813, which came last season for the Jets — and received just 103 carries. Bilal Powell and rookie Elijah McGuire ate into Forte’s workload, and the usually durable back found himself in a committee. Forte played in at least 15 games in each of his first seven seasons and suited up for 14 in his Jets debut. Knee pain limited him to 12 this season; he underwent knee surgery last offseason but said he doesn’t expect to need another operation prior to the 2018 season. McGuire has three years remaining on his rookie deal, and Powell will make $4MM in base salary next season. Forte’s due $3MM in base, but this injury-plagued season and a non-guaranteed salary could induce the Jets to part ways with him. The Jets signed Whitehead to their practice squad in late November.